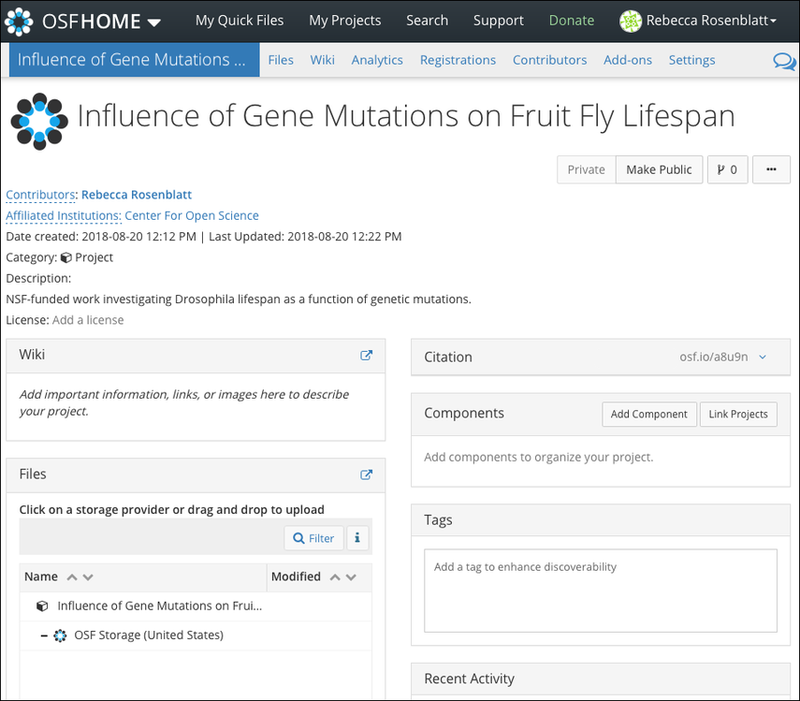 OSF projects are the largest form of categorization that OSF supports. 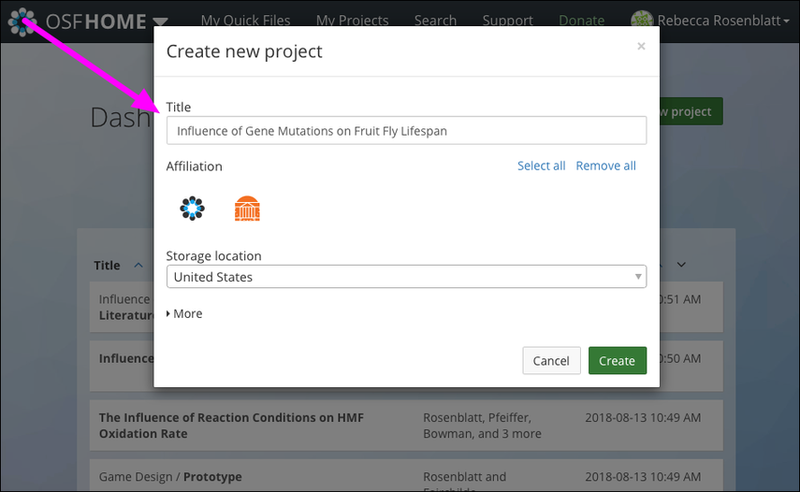 A project can be an experiment, a lab group, or a paper—anything that has contributing members and files or explanatory texts/images. 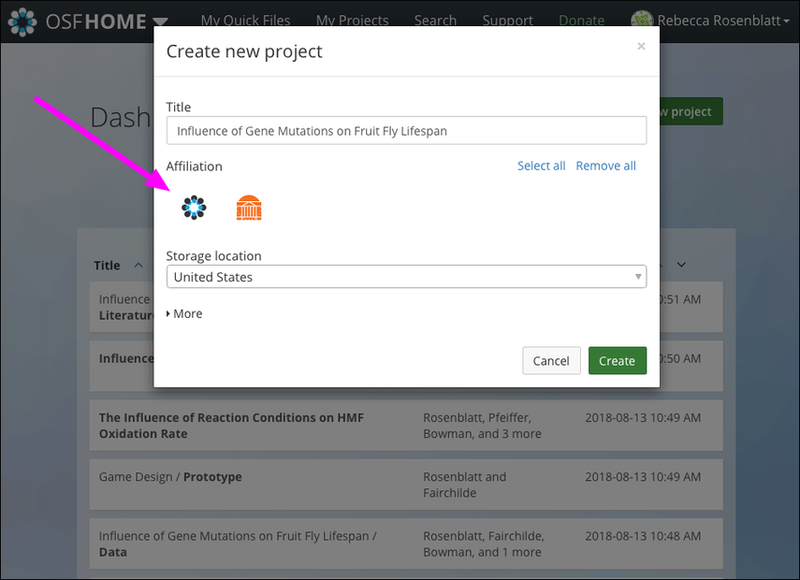 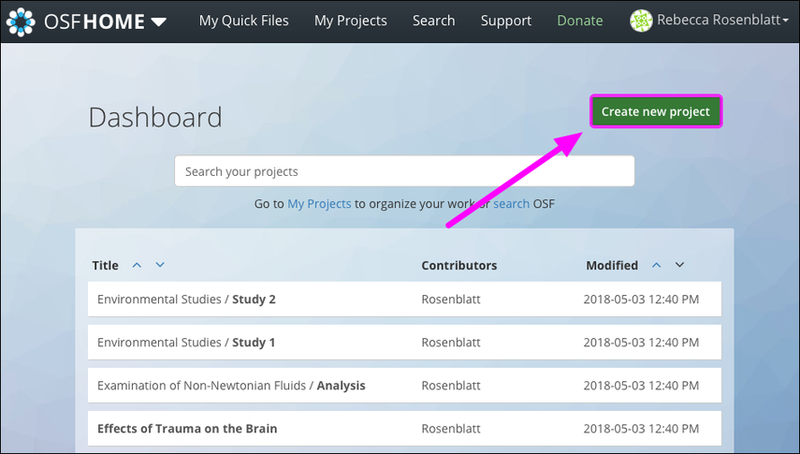 Sign in to OSF, then click the Create new project button on your dashboard. 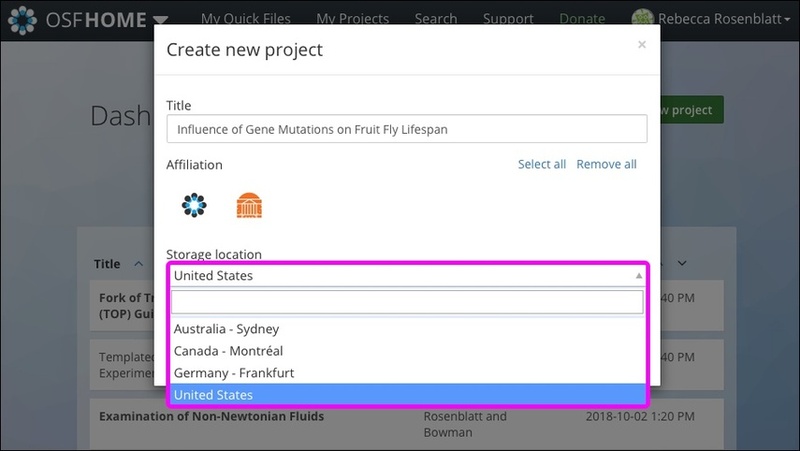 Enter a title for your project into the "Title" field. 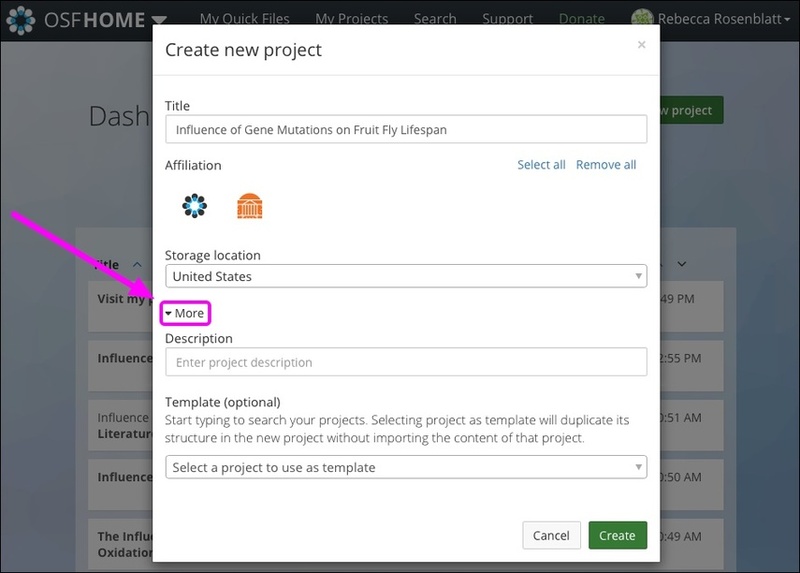 To structure your new project based on one of your existing projects, select the project from the menu (only the structure will be duplicated and not the content). 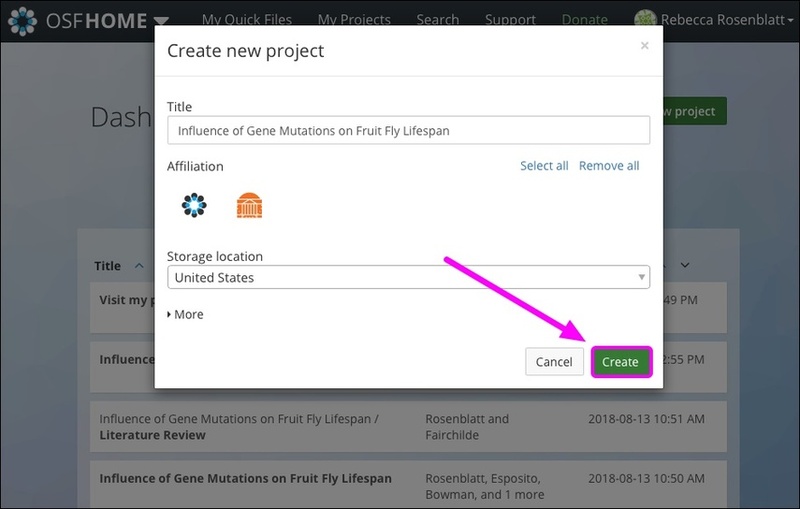 Click the Go to new project button in the modal to navigate to your "Project Overview" page. 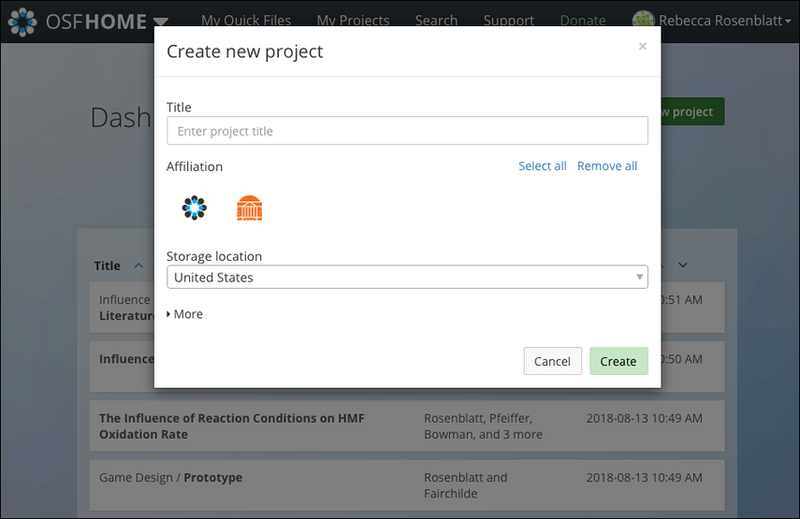 The "Project Overview" page is the main view of your project. From here you can read your project's description, access the wiki, upload files, add tags, and more.